Amongst British parents, the Montessori method is one of the more widely-known ‘alternative’ educational pedagogies, and is used in over 22,000 schools worldwide. The Montessori method is particularly prominent in early childhood and primary school education. Developed by Italian educator and doctor Maria Montessori after extensive research with special needs children in the early years of the twentieth century, the method contains five basic principles. Respect for the Child is the major principle underlying the entire Montessori method. Montessori believed children should be respected (not common practice in the early twentieth century). Respect is shown for children by not interrupting their concentration. Respect is also shown by giving pupils the freedom to make choices, to do things for themselves, and to learn for themselves. Teachers model respect for all students as well as peaceful conflict resolution, and must learn to observe without judgement. Montessori education is based on the principle that, simply by living, children are constantly learning from the world around them. Through their senses children constantly absorb information from their world. They then make sense of it because they are thinking beings. Montessori pedagogy believes there are certain periods during which children are more ready to learn certain skills. These are known as sensitive periods, and last only as long as is necessary for the child to acquire the skills. The order in which sensitive periods occur (i.e. a sensitive period for writing) as well as the timing of the period varies for each child. Through observation, Montessori teachers must identify sensitive periods in their students and provide the resources for children to flourish during this time. The Montessori method suggests that children learn best in an environment that has been prepared to enable them to do things for themselves. 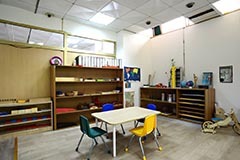 Always child-centred, the learning environment should promote freedom for children to explore materials of their choice. Teachers should prepare the learning environment by making materials and experiences available to children in an orderly and independent way. Auto education, or self-education, is the concept that children are capable of educating themselves. This is one of the most important beliefs in the Montessori method. Montessori teachers provide the environment, the inspiration, the guidance and the encouragement for children to educate themselves. In Montessori education the role of the teacher is to guide children in their learning without becoming an obstacle, and without inserting themselves too much into the natural learning process. Therefore, the Montessori teacher is a facilitator, not a lecturer. Montessori teachers encourage children to learn by placing the pupils, rather than the teacher, at the centre of the experience. They provide learning materials appropriate to each child after close observation in the specially prepared learning environment. Teachers also demonstrate and model learning activities whilst providing freedom for the students to learn in their own way. Montessori teachers manage classroom behaviours by modelling ongoing respect for all children and their work, by observing and using sensitive periods, interests and abilities to plan activity, and by diverting inappropriate behaviour to meaningful tasks. One of the more widely known features of a Montessori education is that of the multi-age classroom. Rejecting the notion all children of the same age develop and progress at the same page, Montessori schools believe multi-age classrooms enable children to work more productively at their natural pace. Montessori classrooms are typically set up in 3-year age ranges. Advocates believe this enable children to learn better social skills, and to develop academically, in a co-operative, non-competitive learning environment. Minimising things that may over-stimulate and distract. Walls are painted in neutral shades, minimal objects and artworks are displayed. The Montessori method described is most appropriate to early childhood and primary school education, which is where the method maintains its popularity. The secondary program for Montessori schools is generally based on the Erdkinder, a program created for 12-15 year olds. This program is designed to be taught on a working farm. Consequently, there has been far less uptake of this program by schools across the globe. There is no internationally recognised senior secondary Montessori program. Some critics and parents express concerns that children who are not used to testing, grading and other forms of competition will struggle in a more traditional high school environment. However, advocates of the method point to research which suggests that children with a Montessori background are able to thrive in a more traditional education background when they reach secondary school, due to their skills in independent learning. 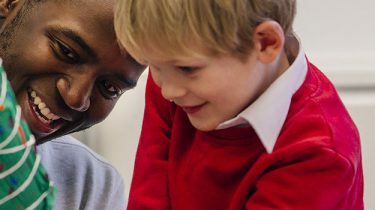 Whilst more research is required, it is certainly widely recognised that quality and attentive early education can make a huge difference in the lives of children. Will teaching in a Montessori school work for me? Montessori teachers are in great demand. In many countries you will also need to have a recognised Montessori certification in addition to your teaching qualification to work as a Montessori teacher. Many Montessori teachers report significant job satisfaction. However, this is not a role that will suit everybody. In order to succeed as a Montessori teacher, it is important that practitioners genuinely believe in the philosophy. Try to gain experience in a Montessori school, to see the method in action. If there are parts of the method you feel may not suit you, you may still choose to incorporate elements of the Montessori method into your classroom.